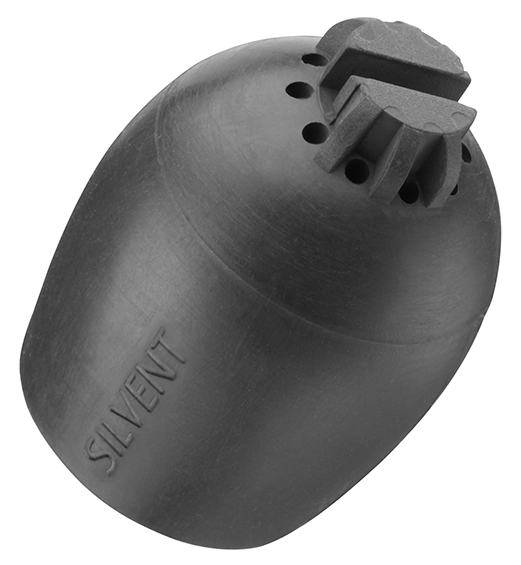 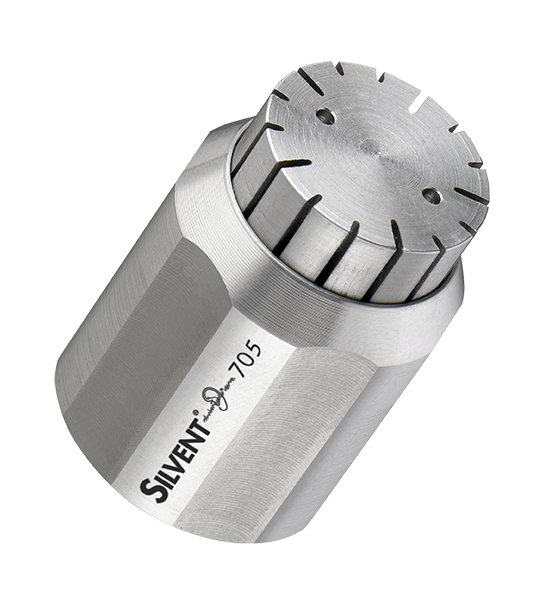 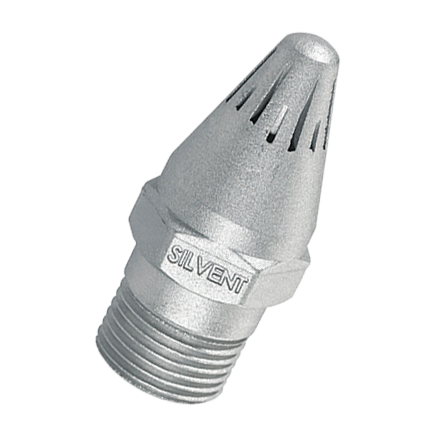 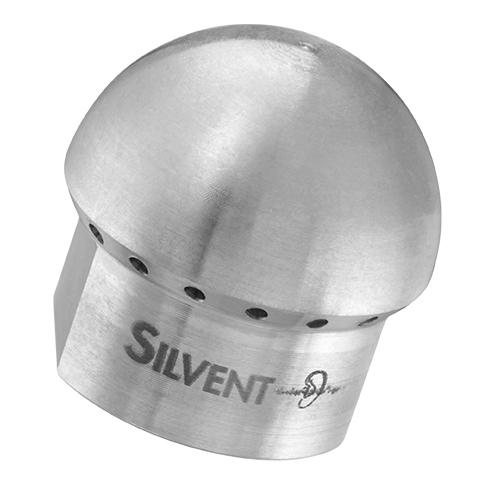 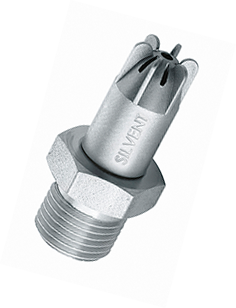 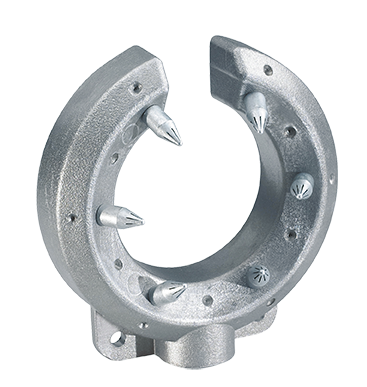 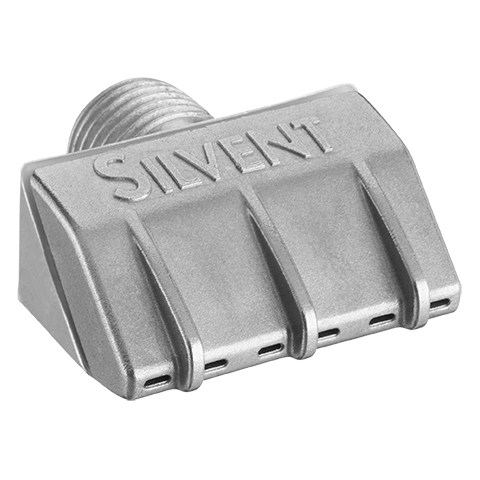 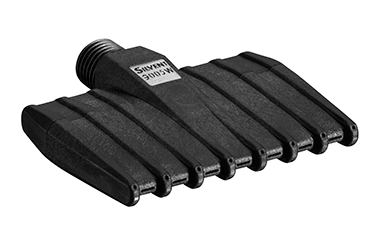 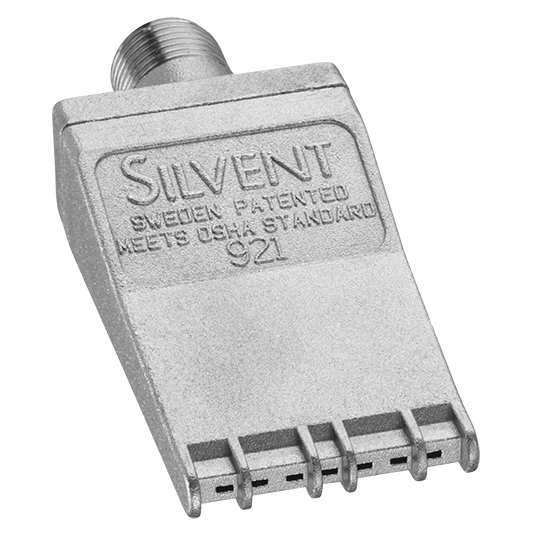 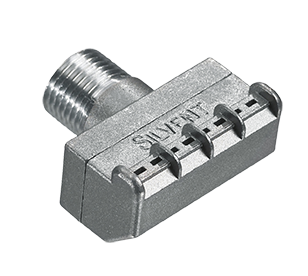 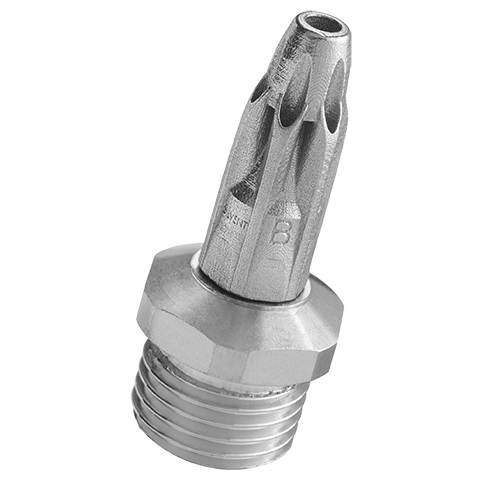 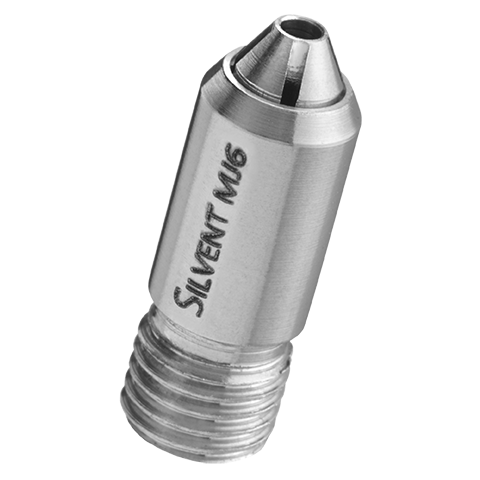 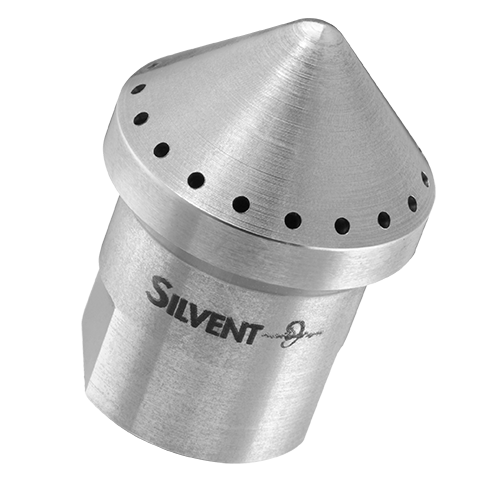 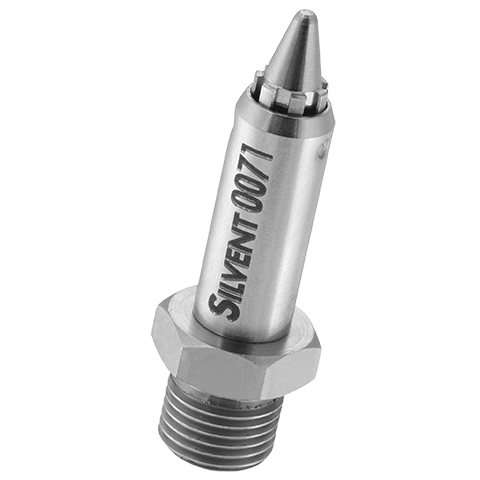 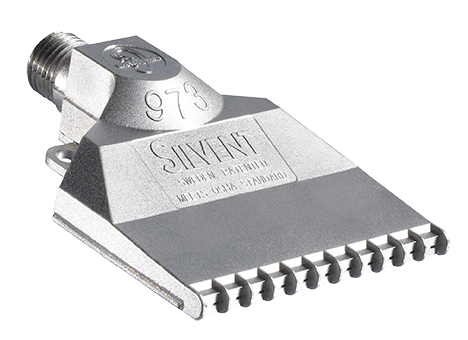 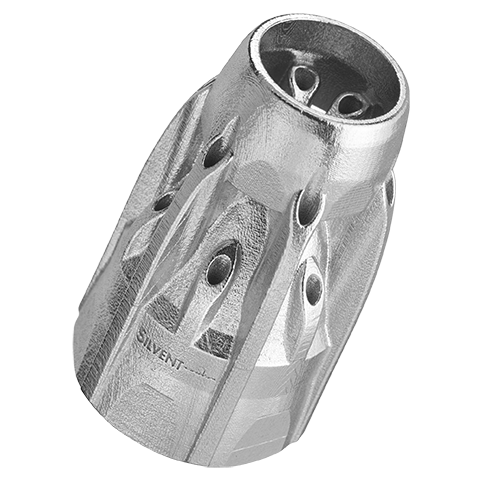 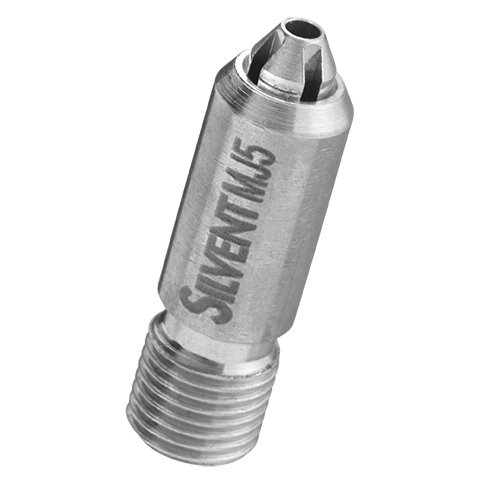 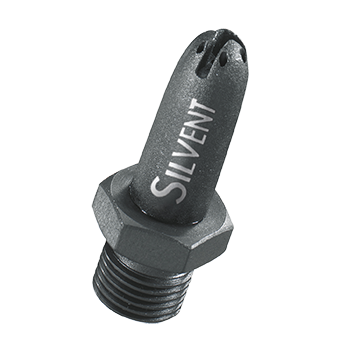 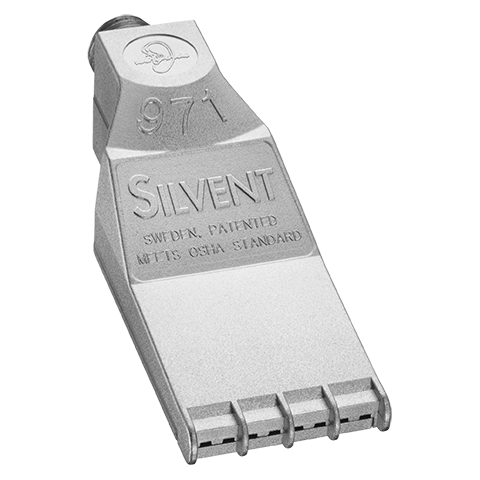 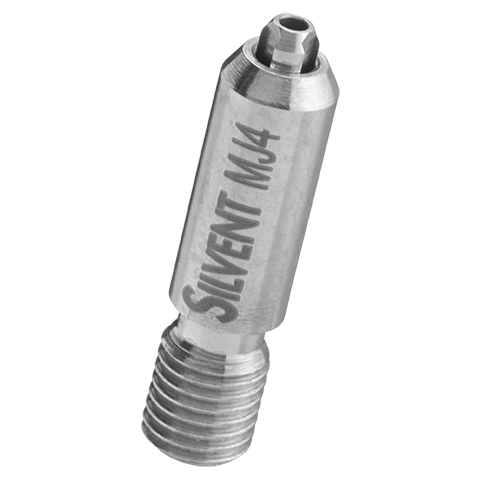 SILVENT F 1 is a cooling nozzle with FRIGUS technology that is especially designed for spot cooling where unwanted heat occurs due to material milling, drilling, grinding, turning etc. 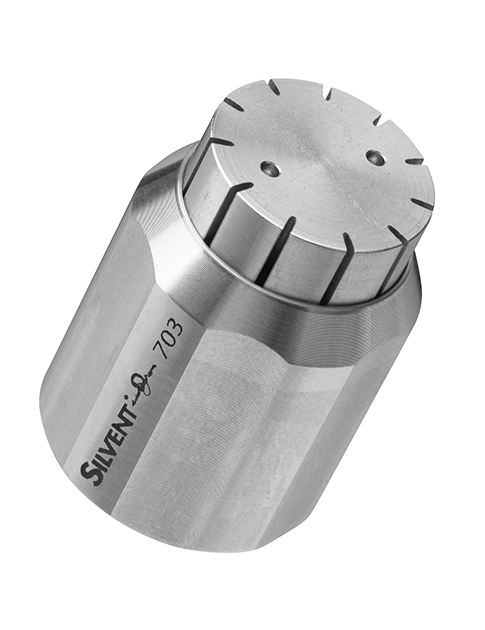 Maintaining a reduced temperature during machining operations facilitates the process and extends tool life. 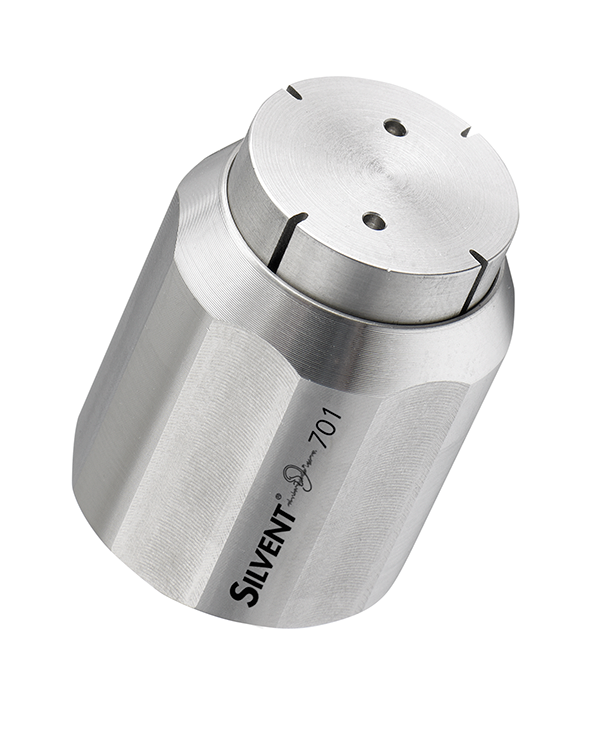 F 1 generates a low noise level. 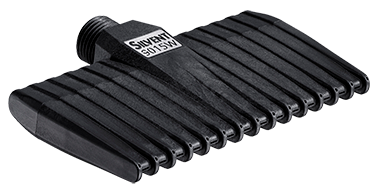 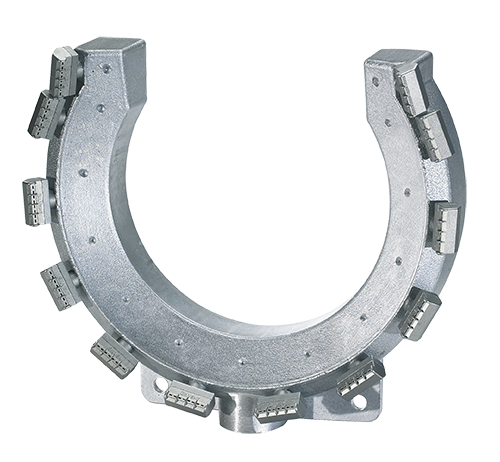 Its revolutionary design is compact and the unit is simple to install. 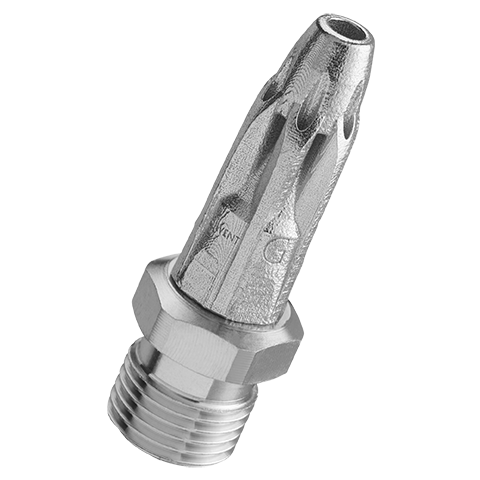 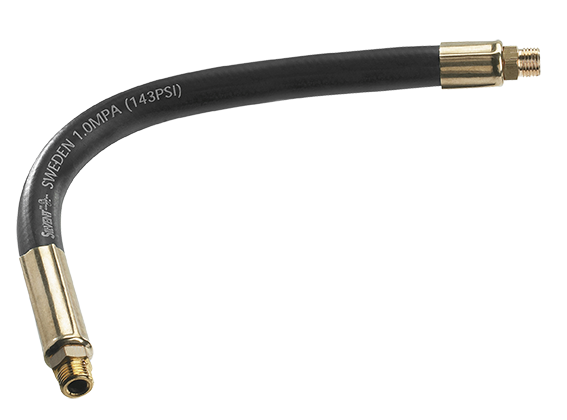 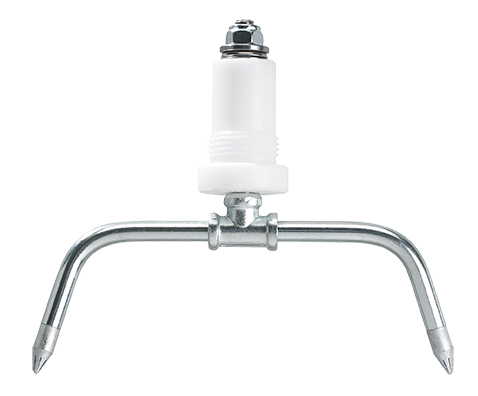 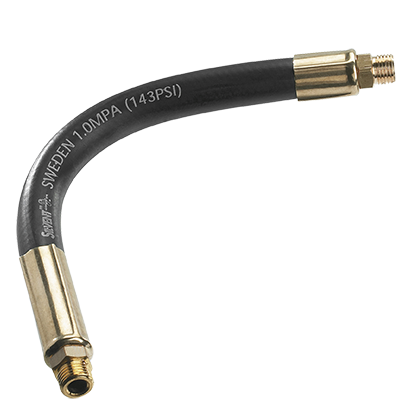 It is easy to replace your standard nozzle with a FRIGUS cooling nozzle. 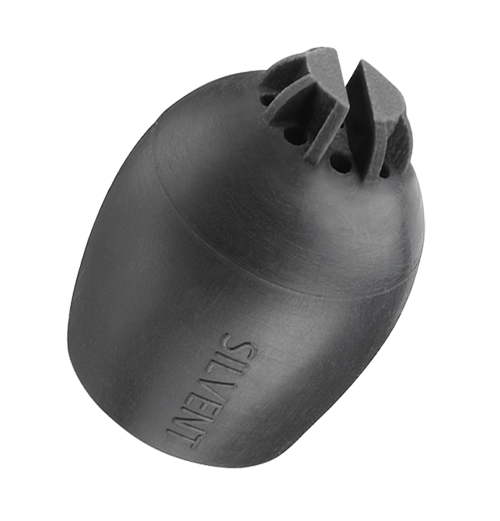 F 1 cools the target while blowing away chips and enhancing quality. 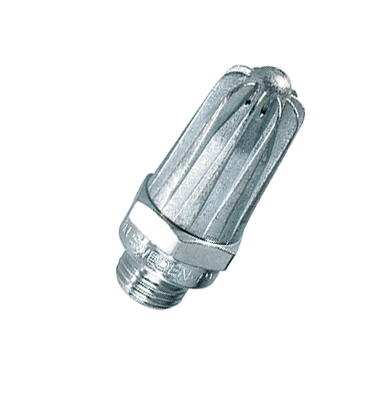 FRIGUS technology provides the possibility to quickly and easily adjust both the air consumption and cold fraction you need. 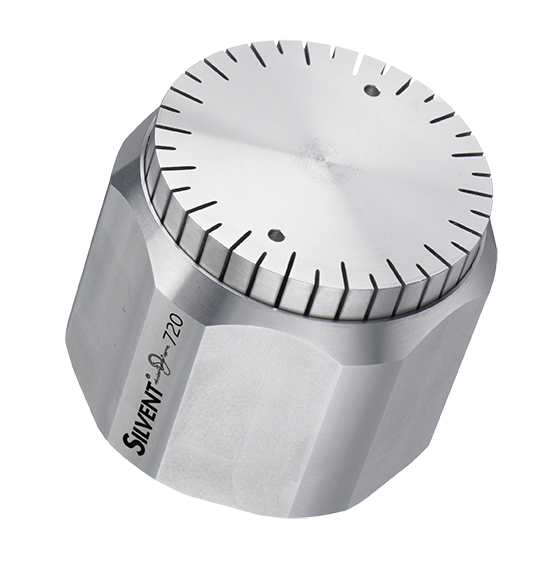 This simple, unique control design allows you to set air consumption in relation to your refrigeration requirements. 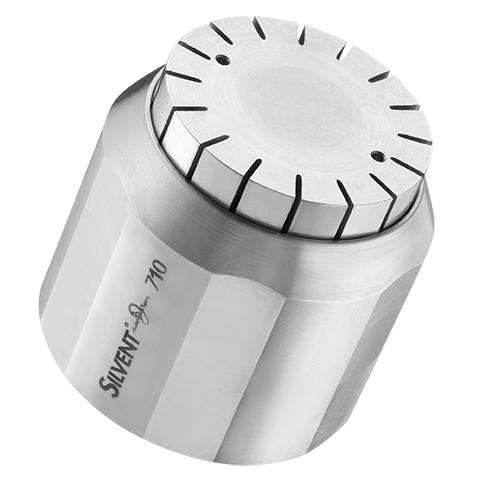 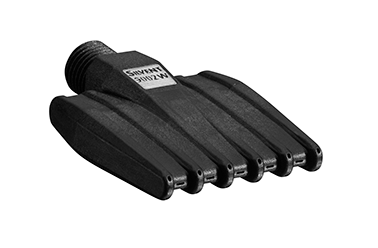 F 1 also complies with the noise limitations of the EU Machine Directive and OSHA safety standards. 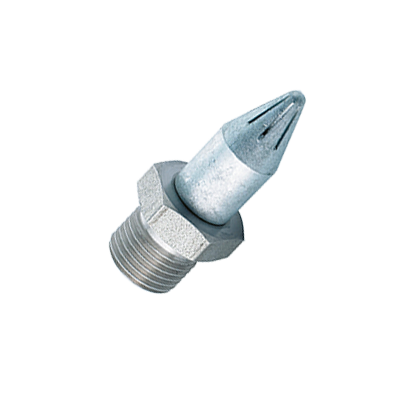 To obtain best cooling effect from the cooling nozzle, use as short blowing distance as possible from the nozzle to the object. 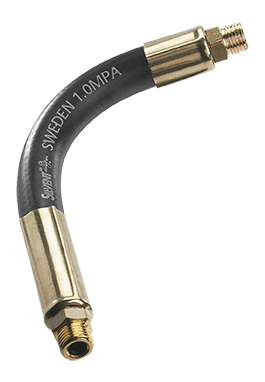 Recommended max blowing distance = 30 mm (1.18").